Leading indian direct to home service provider allows it’s users to manage packages via sending sms, here is the format and usage of dish tv sms codes. There are many options available for customers for contacting the service for various updates. you can call to the toll free number, sending sms, drop a mail to them, manage account via web portal etc are some of them. dishtracking.com already updated the transponder parameters, popular indian dth packages etc through our previous posts. This is the first direct to home private service provider of the country, leading with majority subscribers. DishTV reserves the right to add / drop a channel / package / service from any package and / or change the package rates. 1800-258-three four seven four is the toll free number, this will not charge. you can call from registered or other mobile numbers to get help from the costumer care team. please be remember that last 4 digits are 3474, we have written it in words to prevent unwanted usage of the same. SMS – From your registered mobile number tpe CALL ME to 57575, they will call you back within short time. 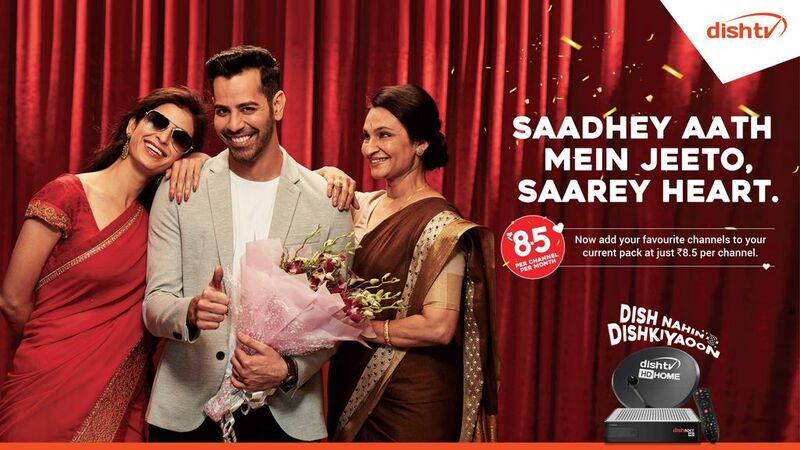 Email – customercare(at)dishtv.in another option to manage your dth account. Sty tuned here for updated channel numbers, packages, pricing and availability of dish tv indian direct to home service. follow us on facebook and other social media profiles for instant updates.